We’d love your help. Let us know what’s wrong with this preview of The Elegant Universe by Brian Greene. The international bestseller that inspired a major Nova special and sparked a new understanding of the universe, now with a new preface and epilogue. Brian Greene, one of the world's leading string theorists, peels away layers of mystery to reveal a universe that consists of eleven dimensions, where the fabric of space tears and repairs itself, and all matter—from the small The international bestseller that inspired a major Nova special and sparked a new understanding of the universe, now with a new preface and epilogue. To ask other readers questions about The Elegant Universe, please sign up. Is this written so that a non-science-geek can understand it? Leo Navis It is described very easily, actually. You will have to concentrate of course, but the examples are easy to understand. He takes another route, if you…moreIt is described very easily, actually. You will have to concentrate of course, but the examples are easy to understand. Is this good? how can i borrow this book? Abdurrahman Hassouna How can i get it ? When I read this book, I remember thinking it was pretty interesting, but I am surprised how few insights I have retained... to be honest, hardly any. Smolin's The Trouble with Physics, which I read much more recently, suggests that string theory is in big trouble, and right now I am more tempted to side with Smolin. There's this old Nasrudin story, where he's somehow ended up as judge in a court case. The D.A. really makes a good case, and Nasrudin can't restrain himself. "Yes, you're right!" he shouts. Then the defense lawyer gets up and makes his pitch, and Nasrudin is equally impressed. "Yes, you're right!" he shouts again. The court recorder clears his throat and leans over towards Nasrudin. "Your honor," he says respectfully, "they can't both be right!". Nasrudin shakes his head. "Yes, you're right!" he agrees. Well, between Greene and Smolin I feel a bit like Nasrudin, but luckily I am not the judge here. Am I just agreeing with Smolin because I heard him most recently? Maybe. But trying to correct for that, I still think that there is a reason why Smolin seems more convincing and memorable, and why very little of what Greene says has stuck. 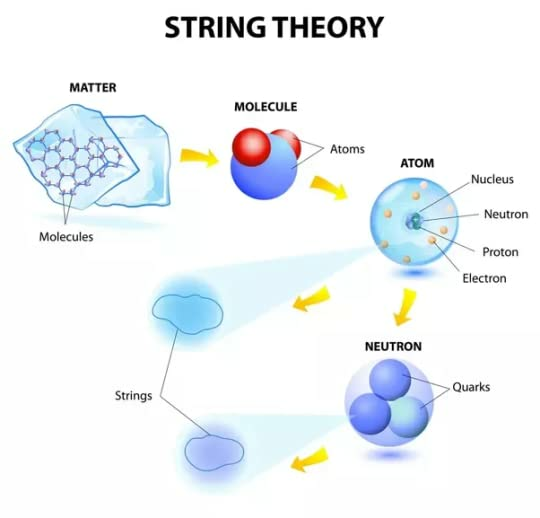 String theory has become so divorced from experimental reality that it rarely if ever gives you that feeling you get from good science, of suddenly grasping a real physical phenomenon that you have known about for a while, but not understood. I guess the example that makes me least happy is supersymmetry, according to which every particle has a supersymmetric partner. Compare this with the discovery of the periodic table in the late 19th century, or the development of the Standard Theory in the 60s and 70s. 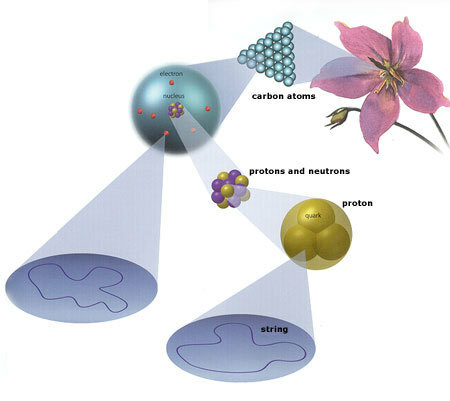 There, insightful people gradually realized that objects (atoms in the first case, subatomic particles in the second) were related in a complicated pattern. Most of the time the pattern fit, but there were a few holes, and they were later able to find the things (new elements, new particles) that filled in the holes! I was astonished to read that there is not one single particle which has a known supersymmetric partner - so far, it's all hypothesis, and perhaps none of these "selectrons", "photinos" etc actually exist. I'm not saying that this means supersymmetry is wrong; I'm just saying it means I don't find it exciting. Maybe next year they will get the LHC working, discover a whole slew of supersymmetric partners (even one would be a lot), and put string theory on a proper experimental footing. If that happens, I'm sure I'll go back to reading books on this subject; I won't be able to stop myself. But until then, well, it may be beautiful math, but I feel no emotional connection to it. I'd love to hear from people who disagree, and can explain to me just what it is I'm missing out on. We had another particle physicist over for dinner last night. He'd come mainly to play chess, but when I found out that he was involved in looking for supersymmetric particles I took the opportunity to ask how it was going. Well: assuming he's to be trusted, and he sounded pretty knowledgeable on the subject, we should know pretty soon. The LHC is now up to high enough energies. They're collecting data. If supersymmetric particles exist, there is every reason to suppose that we'll have clear evidence of them within a year or two. I wondered what would happen if they didn't find any supersymmetric particles? Would the theoreticians just retreat into saying that they needed a more powerful collider? 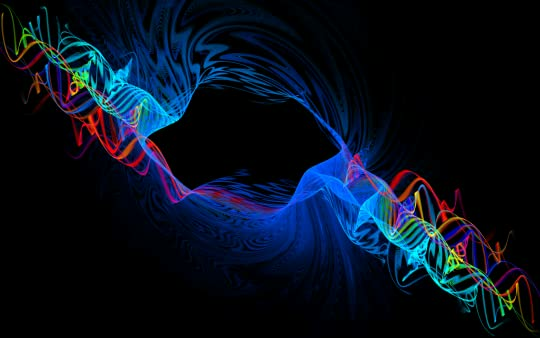 Not so, said my informant; if the particles can't be found at the current range of energies, the predictions were wrong. Sounds like we're finally getting a straight up-or-down vote. 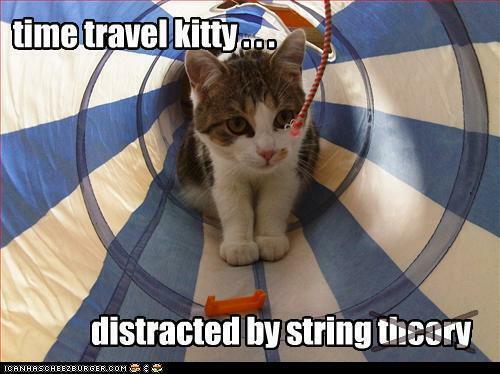 String theory, you can run but you can't hide! I knew it was too good to be true. We had yet another particle physicist over, whose PhD topic had been something to do with searching for a supersymmetric quark. I asked her if it really was the case that we'd soon know if supersymmetric particles existed. Alas, it turns out that, although the energies they're now reaching in the LHC are indeed sufficient to find supersymmetric particle according to the mainstream versions of string theory, there are other versions which predict higher energies - energies which are outside the LHC's range. "Of course," she added, "the mainstream version is the one that contains the original motivation for supersymmetry. If they retreat to one of the other versions, then most of the rationale disappears. But people have a lot riding on string theory." "That's terrible!" I said indignantly. She just shrugged her shoulders. Browsing the physics section at the South Australian State Library earlier this week, I picked up a copy of Becker, Becker and Schwarz's String Theory and M-Theory (2007). The introduction says clearly that supersymmetry is essential to string theory/M-theory, and moreover that the LHC should be able to reach high enough energies to produce supersymmetric particles, if they do in fact exist. Consulting Google Scholar, my impression is that the book is highly respected: I see 661 citations. Eight years later, no supersymmetric particles have been observed. But no doubt string theorists have an explanation for this inconvenient fact. Hey, if you think I'm being mean to those poor string theorists, just look at what Randall Munroe said the other day! It struck me today that the people who are criticising CERN for spending so much money finding the Higgs boson are wrong on at least two counts. First, $13B isn't actually such a large price tag for making a fundamental discovery about the laws of the universe, the truth of which is obvious only in retrospect; many physicists were unsure that the Higgs existed. Second, and perhaps even more importantly, there's the dog that didn't bark in the night. Many physicists were also expecting to find supersymmetric particles, but none have been detected. This greatly weakens the plausibility of string theory and shifts attention to competing theories for unifying quantum mechanics and gravity, of which by far the most attractive is Loop Quantum Gravity. Speaking as someone who used to work for NASA and was involved with the International Space Station project ($150B and counting), I would say CERN has given the taxpayer value for money and then some. It's a pity that all research funding isn't allocated in such a responsible manner. ... there is a whole collection of particles whose existence is only conjectural, but a lot of physicists (including me) think they may exist*. For reasons that are not important to us here, these hypothetical particles are called superpartners. * We will know within a few years, when the European accelerator called the LHC (Large Hadron Collider) starts operating. عندما سقطت التفاحة التوراتية سقطنا معها إلى هذا العالم و من ثم أصبح لزاما علينا أن نفهمه أو على الأقل نفهم كيف نعيش فيه. و عندما سقطت تفاحة نيوتن ظن العلماء أننا فهمنا أخيرا برغم مقولة نيوتن بأنه كشخص يلعب بالأصداف على شاطئ المحيط بدون أن يجرؤ حتى على النزول و معرفة ما فيه ناهيك عما وراءه. فسر القانون العام للجاذبية حركة الكون و وضع لنا أول تصور غير اسطورى أو دينى للعالم من حولنا و ظل صالحا لكل الأحوال ما يربو على الثلاثة قرون إلى أن جاء اينشتين و لكن هذه المرة بدون تفاح بنظرية يصعب تذوقها و هضمها اضافت الزمان إلى المكان و اصبح لدينا أربعة أبعاد سماها الزمكان في نظرية النسبية الشهيرة التي أعادت بلورة تصورنا للكون الكبير. في ذلك الوقت قادت الصدفة ألمانى أخر هو ماكس بلانك إلى اكتشاف نظرية الكم التي تكون النظرية النسبية بجوارها سهلة لا غموض فيها فقد قال علماء الفيزياء ان من يقول لك أنه يفهم نظرية الكم بصورة كاملة فلا تصدقه. ببساطة كانت النسبية تتعامل مع الجاذبية و حركة الأجرام السماوية و الأجسام الضخمة المتباعدة بكفاءة عالية جدا بصورة لا تقبل الشك بينما تنهار تماما عند دراسة بنية الذرة و الأجسام الدقيقة و بالعكس منها نظرية الكم التي تنجح بامتياز عند دراسة الذرة و تفشل في تفسير حركة الأجسام الضخمة المتباعدة. وجد علماء الفيزياء أنفسهم أمام نظريتان كلاهما صحيح في مجاله خاطئ في الناحية الأخرى و من هنا بدأ الجهاد الأعظم في تاريخ الفيزياء و الذى مات اينشتين قبل ان يتوصل فيه لأى نتيجة. يتكون هذا الكون من عناصر كالمعادن و الغازات و غيرها و يتكون كل منها من ذرات و تتكون الذرة من نواة و الكترونات و تتكون نواة الذرة من بروتونات و نيوترونات و تتكون كل منهما من كواركات. إذا فما لدينا هو الكترونات و كواركات و بعض الجسيمات الأخرى متناهية الصغر مختلفة الوظائف كالفوتونات و الميزونات و البوزيترونات و الأجسام المضادة و غيرها من المسميات الفيزيائية لجسيمات لم يرها أحد و انما رأينا تأثيرها و أمكننا هذه من دراسة سلوكها و صفاتها. نظرية الأوتار توصلت في النهاية إلى أن كل تلك الجسيمات تتكون من شيء واحد هو الوتر أو الخيط و هو شيء أشبه بالحلقات المطاطية التي نستخدمها في حزم النقود و يكون مغلق الطرفين أو مفتوحهما و تبعا لتذبذب كل وتر يتحدد طوله الموجى و سعته الموجية و بالتالى طاقته و كتلته فيصير هذا الكترون و هذا كوارك و هذا جرافيتون و ذلك ميزون و هكذا. إذاً حولت النظرية العالم لسيمفونية من العزف الجماعى لترليونات الترليونات من الأوتار في كل سنتيمتر من الكون و لم تكتف بذلك بل أضافت إلى الأبعاد المعروفة سبعة أبعاد جديدة ليصبح لدينا إحدى عشر بعدا منها بعد زمنى واحد و عشرة أبعاد للمكان. فسرت نظرية الأوتار حركة الأجسام سواء كانت متناهية الصغر متقاربة جدا كالكواركات و الفوتونات أو ضخمة جدا متباعدة كالمجرات. كل الشواهد تؤكد صحة النظرية و لكن من الناحية الرياضياتية أما من الناحية العملية فلم يتأكد نجاها إلا منذ حوالى سبعة سنوات عندما حصل أحد العلماء على جائزة نوبل في الفيزياء بعد رصده للجرافيتون الذى تنبأت النظرية بخواصه بدقة قبل ذلك بسنوات. أما حين صدور الكتاب فلم تكن النظرية قد تأكدت بعد. طالت المراجعة و وصلت لحد الملل و ما زال في الكتاب الكثير و الكثير و كذلك في الفيلم الوثائقى بأجزاءه الثلاثة الذى سيسهل عليك هضم الكثير مما ذكر في هذا الكتاب القيم. سأكتفى بهذا القدر لأترككم مع الوثائقى و الكتاب في تلك الرحلة الممتعة. في الحقيقة لا نظرية الأوتار و لا غيرها لهم علاقة بالتدليل على وجود الخالق من عدمه فهى قضية ايمانية لا تخضع أصلا لسلطان العقل و لا علاقة لها بالعلم أو الفلسفة و انما هي محض ايمان و تسليم قلبى روحى و لنفصل دائما بين طريق العلم و طريق الدين ان كنا نبغى التقدم في المسارين و الا فإن أحدهما سيلتهم الأخر و في النهاية ستكون أنت الخاسر. 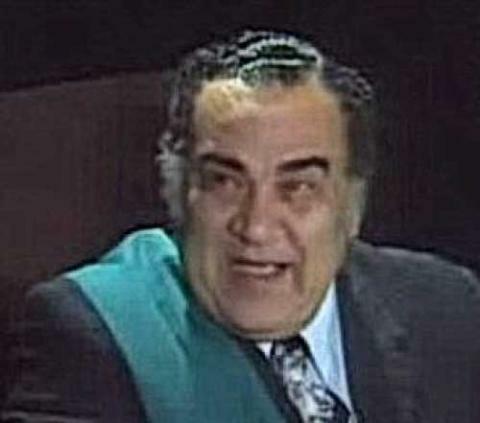 عندما اكتشف هايزنبرج مبدأ عدم اليقين استدارت الفيزياء بحده إلى اتجاه لم ترجع عنه أبدا فالاحتمالات و وظائف الموجة و التداخل و الكمات تتضمن وسائل راديكالية جديدة لإدراك الواقع. و اختفى مفهوم الحقيقة المطلقة و يا أبيض يا اسود اللون الرمادى ده انا محبوش و فجأة أصبح كل شيء رماديا. و يبدو الأمر و كأن الفوتون ليس هو الناقل للقوة بذاته و لكنه ينقل رسالة إلى المتلقى عن الكيفية التي عليه أن يتجاوب بها مع القوى المؤثرة فالبنسبة للجسيمات متشابهة الشحنة فإن الفوتون يحمل رسالة "تفرقو" و بالنسبة للجسيمات مختلفة الشحنة فإنه يحمل رسالة "تجمعوا"
أحيانا أتصور أن الكون كله خاضع لشفرة موحدة هي أون أوف أو واحد صفر تفرقوا تجمعوا شيء واحد و عكسه. شفرة بسيطة و لكنها تطغى على كل شيء بداية من القوى الطبيعية و حتى لغات البرمجة الحديثة حتى التقسيمة الرئيسية للموجودات تحصرها بين المادة و الطاقة و كل منهما قابل للتحول للآخر و من االموت تأتى الحياة و من العدم أتى الوجود من قبل بسر كلمة كن. الطول الموجى و السعة الموجية يحددان كتلة الجسيم و طاقته و بالتالى شكله و وظيفته و سلوكه في الكون. يؤكد مبدأ عدم اليقين أنه لا شيء في حالة سكون تام فكل الأجسام تعانى من الهياج الكمى و ينطبق ذلك أيضا على الأوتار و كل في فلك يسبحون. Do I understand string theory? Not sure. Do I understand M theory? A little bit but don't ask for any algebraic reasoning. Do I know exactly what a Calabi-Yau is? Not really but I think they look a little like the hair balls from my cat. This is the second time I've equated quantum physics and all its detours to a hair-ball. That's because I can study a hair ball and still have no idea what it is for and why they exist. String Theory and the elusive TOE is in the same category. I could go on my entire life not knowing about them but now that I do, I need to know why. Newton, Einstein, Feynman, Hawking, and my cat can't all be right. Or can they? That is essentially the dilemma of string theory and the book. Greene does a great job of putting everything in layman's term but there is a point which he must exceed the intellectual ionosphere and soar into the incalculable. I really like this type of book. The challenge is the fun. But rest assured when the scientists get their act together and write an Idiot's guide to The Unified Theory Of Everything, I'll be the first in line. P. S. Hair balls and string theories have something else in common. Once you tore one apart, you can never get your hands clean. The Kabbalah also describes 10 dimensions and beings that inhabit them. Perhaps these beings are real and at certain levels of dimensional perception they have already seen and experienced these advancements in human history like a child being taught 2+2 to the wave compilation of an electr If you're into stuff like this, you can read the full review. The Kabbalah also describes 10 dimensions and beings that inhabit them. Perhaps these beings are real and at certain levels of dimensional perception they have already seen and experienced these advancements in human history like a child being taught 2+2 to the wave compilation of an electron Y=h/mc = 2.43*10-12m. لنقل ان الفيزياء تنقسم الى نظريات . فيزياء كلاسيكة ، فيزياء حديثة . الفيزياء الكلاسيكة تفسر الكون على اساس معادلات نيوتن وهي صادقة لحد كبير في التنبوءات ومازالت تستعمل وتدرس في المدارس لحد الآن. الحديثة تنقسم الى عدة اقسام : نظرية النسبية العامة والخاصة . نظرية الكم ، نظرية الاوتار الفائقة التي ادعت انها جمعت كل النظريات السابقة ..هناك ايضا سيناريوهات اخرى منها نظرية –ام و عدة اقتراحات اخرى تسمى بنظريات كل شيء ..
ان رأيت ان الامر صعب –كما ظهر لي من قبل – فاقرا كتاب (الكون الانيق ) لبرايان غرين ويكفي لنقل ان الفيزياء تنقسم الى نظريات . ان رأيت ان الامر صعب –كما ظهر لي من قبل – فاقرا كتاب (الكون الانيق ) لبرايان غرين ويكفيك ذلك لكي تفهم كل هاته المصطلحات حتى لو كانت ثقافتك الفيزيائية عادية ، ان كنت تريد الفهم حقا فزد اطلع على سيتفن هونكينغ في' الكون في قشرة جوز' .وكتاب من الذرة للكوارك ..والمنظمة العربية للترجمة باشراف الدكتور جابر عصفور فعلت خيرا باخراج كل هاته الروائع بصفة ممتازة جدا ..
الكون الانيق كتاب ممتاز جدا لدرجة كبيرة ولو كانت لي القدرة لجعلت كل الذين يدرسون الفيزياء يقرئونه اجباريا بدل الكتب البيداغوجية التافهة التي توزع عليهم ..لقد قال (هل وجود الجسيمة الأولية نهاية الطريق ؟ ابدا، انها بداية الطريق –الطويل – نحو بناء نظرية كل شيء). انا اعتقد ان كل الفيزيائيين الذين مارسوا معادلات الكم و مجال هيغز والنموذج المعياري للجسميات والنسبية ونظرية الاوتار الفائقة وطول بلانك ومعادلات شرونديجر .. مؤمنون بالله في اعماق انفسهم ..
انه كون باهر لدرجة لا تصدق انه رائع ومدهش ومميز وليس عشوائيا .. ممتعا مسليا ممتازا غامضا مليئا بالاسرار مشوق مثير وكل الصفات الرائعة التي تجعلك متحمساً ..لذا لا غرابة في ان سمى كتابه (الكون الانيق (..انه ببساطة كذلك ..
4.0 to 4.5 stars. There is a great quote to the effect that "if you can't explain a subject in non-technical terms so that a lay person can understand it than you haven't really mastered the subject yourself." On that basis, it is clear that Brian Greene has DEFINITELY mastered the subject of general relatively, quantum dynanmics and string theory (at least to the extent present technology allows). For such a complicated and often "non intuitive" subject, Greene does an excellent job of laying o 4.0 to 4.5 stars. There is a great quote to the effect that "if you can't explain a subject in non-technical terms so that a lay person can understand it than you haven't really mastered the subject yourself." On that basis, it is clear that Brian Greene has DEFINITELY mastered the subject of general relatively, quantum dynanmics and string theory (at least to the extent present technology allows). For such a complicated and often "non intuitive" subject, Greene does an excellent job of laying out in understandable terms: (1) the evolution of special relativity into general relativity; (2) the basics of quantum dynamics; (3) the fundamental conflict between general relativity and quantum dynamics; and (4) the amazing development of string theory and (5) the prospects for string theory to be able to resolve the conflcit between general relativity and quantum mechanics and come up with a Unified Theory of Everything (the fabled TOE). 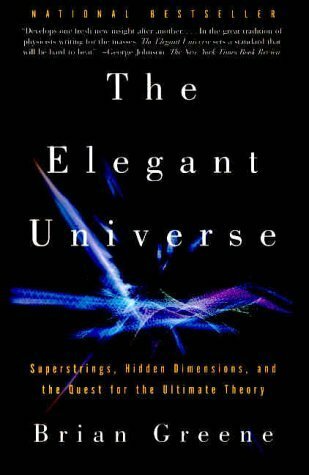 AN INTRODUCTION BY WAY OF HYPERBOLIC SENTIMENT: The Elegant Universe is "The Bible" of superstring theory[*:]. I close the covers of The Elegant Universe with powerfully mixed feelings. On the one hand, Brian Greene gives us a lucidly-written layman's-terms explanation for high-concept modern physics, providing an excellent survey of 20th century science and painting a vivid picture of a promising strategy for reconciling the discrepancies in the otherwise dominant theories. On the other hand, ab AN INTRODUCTION BY WAY OF HYPERBOLIC SENTIMENT: The Elegant Universe is "The Bible" of superstring theory[*:]. I close the covers of The Elegant Universe with powerfully mixed feelings. On the one hand, Brian Greene gives us a lucidly-written layman's-terms explanation for high-concept modern physics, providing an excellent survey of 20th century science and painting a vivid picture of a promising strategy for reconciling the discrepancies in the otherwise dominant theories. On the other hand, about half-way through the text, it devolves into (what feels like) a navel-gazing vanity project that fails to connect that promising strategy with the target audience (i.e., the layman that actually gives a damn about modern science). To be clear: the first third of the book is a remarkable accomplishment. Brian Greene is a cogent writer with a wonderful pedagogical streak that is able to produce a clear image of some otherwise hard-to-decipher concepts in modern physics. Because of The Elegant Universe, I feel like I now have a fairly good understanding of the core concepts underlying Einstein's theories of special and general relativity, and quantum mechanics (e.g., Heisenberg's Uncertainty Principle). Greene is also able to give a decent explanation regarding how these theories break down when you try to "merge" them (e.g., like when you come up with "infinite energy" and/or "infinite mass" and/or "infinite probabilities" through calculations of black holes or the Big Bang). This first third of the book is very accessible, very enjoyable, and very informative. Engaging, fascinating, and extremely powerful. And with that statement does Dr. Greene undermine the remaining two-thirds of the book. After introducing string theory, after explaining that it is a strategy with the potential to marry relativity and quantum mechanics, after getting you (the lay-reader) excited that you too will have some insight into the critical significance that is superstring theory — he glosses over some math (which doesn't really feel like physics after that first 120 pages) and more/less asks you to "bear with me here, trust me..." EXAMPLE: after introducing the concept of strings, the text rushes into a discussion of 6-dimensional "curled up" Calabi-Yau manifolds without really giving a good way of visualizing that whole mess[†:]. EXAMPLE: after 2 or 3 chapters about string theory where Greene is introducing it and discussing how it might reconcile relativity and quantum mechanics, he starts to segue into reconciling aspects of string theory with itself — looping back (like its own subject strings) on itself in a perverse recursion full of mathematical adjustments and jargon. EXAMPLE: in the midst of discussing how this New Science, and where you expect it to loop back on the promised explanations for the Old Science, Greene veers off into a series of anecdotes about "this one time at Harvard..." and/or "once at Princeton we stayed up all night and..." — which really just seemed a little gratuitous. By the time I realized what was happening, my attitude was already tainted. Perhaps I could have extracted more of the science if my cynicism hadn't kicked in so virulently and so early on in the reading. Perhaps spending more time with the end-notes will prove fruitful. Or perhaps on a future, subsequent follow-up reading I will discover that I was right the first time and we have 150 or so pages of incredible science writing and the remainder is chintzy vanity project[‡:]. [*:] Let's hear it for faith-based science? [†:] This is partly me being overly critical of Greene's (in my opinion) cavalier treatment of the Calabi-Yau concepts immediately following their introduction. There are some end-notes and citations for further reading, and he does attempt to dedicate some space in the main text to the idea — but his "dumbing down" of the Calabi-Yau manifolds to the "ant in the garden hose" analogy just doesn't really address it with sufficient vigor. Not after the incredible work he did in the earlier chapters re explaining relativity and quantum mechanics. I suppose I may have been more satisfied with something along the lines of "you have your time dimension, your three 'regular' space dimensions, and then these other six are really dedicated to providing reference points to describing the shape and vibration of the string IN THE THREE DIMENSIONS YOU ARE ALREADY FAMILIAR WITH" — but no such explanation was there. If that's even really what he might have meant. My local book club picked this book for our non-fiction month. I've been a part of this group- the largest-best Bay Area Book club!!!! In the 5 years I been part of this group, I can't remember a more challenging book to fully understand. The superstring theory is 'taught' by Brian Green' for those of us with maybe a basic Physics level one course. I can't imagine understanding anything, without having had at least some High School or College physics. This book is not for everyone, yet it's Top N My local book club picked this book for our non-fiction month. I've been a part of this group- the largest-best Bay Area Book club!!!! Greene's eminently readable attempt to explain the possibilities for string/superstrings to provide the linchpin for the long-awaited-and-desired merger of gravity with the two nuclear and electromagnetic forces into a Grand United Theory. Frankly, the entire idea of rolled up dimensions—of a universe containing perhaps ten, twelve, eighteen dimensions, of which we are only capable of perceiving four—is suitably mind-blowing and humbling at the same time; and although Greene's low-culture themed Greene's eminently readable attempt to explain the possibilities for string/superstrings to provide the linchpin for the long-awaited-and-desired merger of gravity with the two nuclear and electromagnetic forces into a Grand United Theory. Frankly, the entire idea of rolled up dimensions—of a universe containing perhaps ten, twelve, eighteen dimensions, of which we are only capable of perceiving four—is suitably mind-blowing and humbling at the same time; and although Greene's low-culture themed analogies that frequently pop-up to help elucidate the complex concepts he is trying to convey may irritate at times, he does a bang-up job in making it understandable without blotting the outlines in thick physiquese or mathematics. Surfer-Dude physicist Garrett Lisi submitted an Exceptionally Simple Theory of Everything based upon the stunningly beautiful symmetry of Lie Groups as an alternative to String Theory a couple of years after the publication of Greene's follow-up The Fabric of the Cosmos ; it will be interesting to see how Lisi's proposal affects the future of string/superstring theory as the most likely path towards that elusive group-wedding of the four forces. I believe that several physicists have now concluded that Lisi's theory doesn't hold up, but I'm intrigued by the rumblings I've encountered by others who consider string theory to be a corridor that is proving of a confining narrowness, one that has consumed a disproportionate amount of the energy from some of the top minds in this field in pursuit of a theory that more and more appears irreconcilably inelegant and complex for the unifying end that it is meant to achieve. I have some potentially stunning books on the shelf awaiting my attention—in particular, Lisa Randall's Warped Passages , Michio Kaku's Hyperspace , Michael Fayer's Absolutely Small , and Lee Smolin's The Trouble With Physics —all of which I have unfortunately neglected for some time now, but are ripe with the promise of immense rewards to the mind when their contents are finally consumed. For most of my life, physics and the general sciences have seemed beyond me. At the same time, I've been lucky enough in high school and university to have instructors who are willing to let me "give science a try" in a not threatening way. This book is one such attempt to allow ordinary people to give science a try. In this book, you'll get a crash course in physics as an evolving subject, from the theory of gravity, to special relativity, to general relativity, to quantum mechanics, to string For most of my life, physics and the general sciences have seemed beyond me. At the same time, I've been lucky enough in high school and university to have instructors who are willing to let me "give science a try" in a not threatening way. This book is one such attempt to allow ordinary people to give science a try. In this book, you'll get a crash course in physics as an evolving subject, from the theory of gravity, to special relativity, to general relativity, to quantum mechanics, to string theory, you'll be taken on a fantastic journey into the heart of science. A word of warning, though, one of my geeky friends told me that "String Theory" is now a passing fad. That might put you off the book. I still felt like there was a lot of value in reading this book simply as a mental challenge. The book was challenging to read, even if it is supposed to be dumbed down physics. ‘The Elegant Universe’ by Brian Greene is a general introduction to cosmology and string theory. It is a beautifully written book! However, it is not for beginners. I think some classes in physics or cosmology, or a long-time subscription to a magazine like New Scientist or Science News would be a necessary educational background before reading this book. So. As far as I can tell, the book is a five-star read in clarity and expert knowledge. 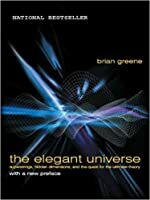 From Wikipedia, I learned Greene is a genuine scientist ‘The Elegant Universe’ by Brian Greene is a general introduction to cosmology and string theory. It is a beautifully written book! However, it is not for beginners. I think some classes in physics or cosmology, or a long-time subscription to a magazine like New Scientist or Science News would be a necessary educational background before reading this book. So. As far as I can tell, the book is a five-star read in clarity and expert knowledge. From Wikipedia, I learned Greene is a genuine scientist. He attended Harvard and got his Ph.D. at Oxford. Greene joined the physics faculty at Cornell in 1990 and was appointed to a full professorship in 1995. He joined the staff of Columbia University as a full professor. At Columbia, Greene is co-director of the university's Institute for Strings, Cosmology, and Astroparticle Physics (ISCAP) and is leading a research program applying superstring theory to cosmological questions. With co-investigators David Albert and Maulik Parikh he is a FQXi large-grant awardee for his project entitled "Arrow of Time in the Quantum Universe. Greene does an amazing job of condensing a hundred years of cosmological science and physics into a few chapters. He describes in the first six chapters the most cogent and clear explanation of Einstein’s Special Relativity and General Relativity theories I have ever read. He also links past discoveries about electricity, magnetism, and gravity insofar as how such discoveries led to Einstein’s theories. These past discoveries about gravity and electricity also led to what were concurrent studies in Einstein’s lifetime by other scientists on quantum mechanics. Greene leads readers, gently, into how scientific experiments on quantum particles, especially photons and electrons, led to discoveries about the structures of atoms. These explorations have added hints about further mysteries yet to know surrounding the beginning and current state of the universe. Around chapter five, Greene begins discussing string theories in depth. At first, I could follow. Clearly mathematics is the main source behind string theories (and physics), making real-world descriptions difficult. Green makes a heroic effort at avoiding direct mention of the maths (except in the Notes section at the back of the book). He includes drawings and word-picture analogies (using vivid visuals such as walnuts and donuts and trampolines and beach balls and floating astronauts moving about in space), to illustrate the theoretical conclusions derived from the mathematical view of the universe. I understand the necessity of alternative visual examples - how do you describe and show visually the concept of Time, or show how a Planck length of strings affects an invisible, to us, dimension’s dimensions! Wtf does 3 mean to Greene? Confirmation of space-tearing flop transitions by a mirror mathematical version of normal physics mathematics, which proved part of the physics of string theory. My brain vibrated feebly, then flopped, and collapsed into a massless black hole, gentle reader. Also: Perturbation Theory, Duality, Quantum chromodynamics, Symmetry, Spins, Supergravity, M-Theory, primordial nucleosynthesis, curled up dimensions (from nine to eleven - they don’t know how many exactly since the math is giving various answers to the question of multiverses, depending on the equation), Entropy, the Big Bang, the fabric of Space/Time, and my favorites, the uncertainty principle, spatial topology and reciprocals - not. None of this is visible to the naked eye, gentle reader, and some of it not to the naked brain in any kind of brane. My bosons are weak, gentle reader, weak, by my gauge. The forces of my framework have been mechanically perturbed into a mass universe of simplified confusion. I am a flatland of one-dimensional fundamentals when it comes to ‘ordinary’ physics, much less possessing a particle of understanding the speculative kind of physics like string theories! There is a Notes section which supposedly is in English, not that I could tell - a native English speaker - and an Index. Thankfully, there is a glossary of scientific terms, of which its pages I wore down to a Planck’s constant. However, maybe too many donuts (whether torus or spherical) and not enough broccoli in my life has annihilated the necessary electrons I needed to shine like an energetic photon. I am clearly reduced in mental energy to the lower spectrums, like ancient photonic microwaves spread out in a vast void of background noise, barely distinguished. I found this, gentle reader - a PBS NOVA show about Brian’s Greene’s book. It’s easier. I read this book while taking a course (for non-physics students) called Modern Physics in Perspective, which centered on string theory. I learned so, so, so much in this class & the book helped a lot. If you're reading this book unassisted, be aware that there are some very confusing sections that you'll need to read a few times. Sometimes his analogies are a bit too inane. Also, I've discovered that many physicists have an unhealthy obsession with their research pet projects- I'd advise th I read this book while taking a course (for non-physics students) called Modern Physics in Perspective, which centered on string theory. I learned so, so, so much in this class & the book helped a lot. If you're reading this book unassisted, be aware that there are some very confusing sections that you'll need to read a few times. Sometimes his analogies are a bit too inane. Also, I've discovered that many physicists have an unhealthy obsession with their research pet projects- I'd advise that you ignore the sections on Calabi-Yau shapes entirely. These faults aside, The Elegant Universe is the only book about science that I have ever read from start to finish and enjoyed from start to finish. It'll blow your mind. 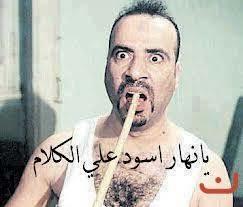 Physics books. Can I understand them properly? No. Am I still absolutely fascinated by them? Yes. String Theory. Do I understand it properly? Hell no. Am I fascinated by it? To the last detail. The first few chapters are fascinating as Greene recounts the history of modern physics, its departure from classical, Newtonian understanding. Then, he moves into string theory, and I found the arguments and explanations harder to follow. As Greene wrote the book just a few years after the Second Superstring Revolution, it makes sense that the arguments aren't as well-developed as those describing theories and experiments perfected and refined over the past 100 years or so. I really enjoyed the The first few chapters are fascinating as Greene recounts the history of modern physics, its departure from classical, Newtonian understanding. Then, he moves into string theory, and I found the arguments and explanations harder to follow. As Greene wrote the book just a few years after the Second Superstring Revolution, it makes sense that the arguments aren't as well-developed as those describing theories and experiments perfected and refined over the past 100 years or so. I really enjoyed the last few chapters: one on black holes, one about cosmology, and the final chapter, entitled "Prospects," in which Greene discusses the implications of string/M-theory on future thought and the possible questions string/M-theory may be able to answer. Overall, I really liked this book. It took me a while to get through because of the subtlety of the arguments and the density of the subject matter (no pun intended), but it was extremely informative. I also enjoyed Greene's writing style, especially the examples/metaphors/analogs he presented the reader with for help in understanding the extremely subtle topics he discusses. The only thing missing for me from Greene (and from Hawking and K.C. Cole) is: why did the Big Bang happen when it did, and where did the materials constituting the singularity (or the "Planck-size nugget") come from? My only problem with non-Christian, scientific accounts. The physicists never do offer a possible explanation of the origins of the origins. E' un Universo difficile, lavoro duro e destino incerto. Dopo Zygmut Baumann, ci voleva anche la fisica quantistica a toglierci ogni certezza, immersi in un cosmo che funziona come un mantice, si gonfia e si sgonfia (forse), e noi in mezzo, a vivere chissà, forse più vite, su più dimensioni, arrotolate come bigodini o srotolate come tappeti. Richard Feynman, guru della meccanica quantistica, disse “penso di poter affermare con sicurezza che nessuno capisce la meccanica quantistica”. Molto bene, a me qualcosa sembra di aver capito. Il bello di questo libro, molto elegante, è che è scritto così bene che ti sembra di capire tutto. Greene è bravo, conduce il lettore medio, non tecnico, mano per mano, esempi chiari e divertenti e ti fa capire. Poi, quando sei contento perché pensi di aver raggiunto il tuo scoglio su cui aggrapparti felice, in mezzo a tutte queste turbolenze quantistiche, ti spiazza dimostrandoti che non è così, del resto abbiamo capito che dobbiamo esser pronti a tutto: tutto è relativo (Einstein) e tutto è assai indeterminato (fisica quantistica). I never really got the hang of String Theory. I find it awfully weird and almost nigh-unscientific. Not being a physicist, I try not to make judgments about it, since I clearly don't understand it one bit - at least on the math level! - but I have to say that Brian Greene didn't endear it to me. I also fervently found myself wishing for the Nth time that science books were not so firmly divided between "professional, terrifying math texts" and "written for people who never figured out the Theory I never really got the hang of String Theory. I find it awfully weird and almost nigh-unscientific. Not being a physicist, I try not to make judgments about it, since I clearly don't understand it one bit - at least on the math level! - but I have to say that Brian Greene didn't endear it to me. Will you ever allow us folks down here on Earth to come up with Einstein’s dream of a Theory of Everything (ToE)? The fact of the matter is that there are essentially two opposing theories upon which rests our knowledge of the universe: General Relativity and Quantum Mechanics. That is, the world of the large and the world of the miniscule. But whenever we try to unify them, our calculations just fall short; or better, fall large!, for we bump into infinity. Oh wait!, this book has just told me that String theorists already have! They claim that all fundamental particles are composed of tiny vibrating strings of energy whose movement gives rise to all those different particles that we know of. And in so doing, not only do these strings fit into Quantum theory, but they're also able to accurately predict the whys and wherefores of the big bulks of matter, like those of stars and galaxies! TADÃÃN! BUT, not only are there five different versions to the theory, but also, and because we are talking about excruciatingly small objects, it is impossible to test it! Not really a theory is it? (daimn!) It shamelessly enters the realm of Philosophy… Oh those naysayers! Tell me of one thing that we take for granted today that hasn’t started as Cartesian doubt! 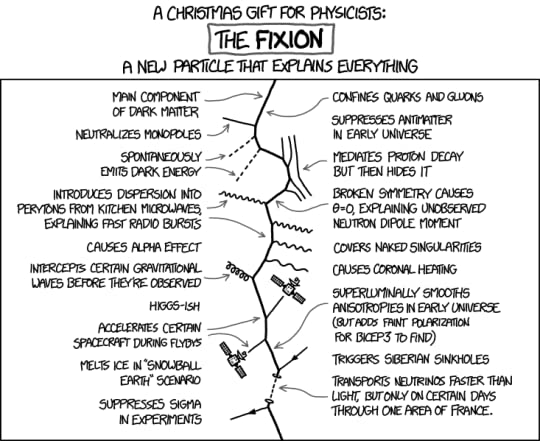 You go get them my fairy little oscillating strings, which so happen to explain black holes! But back to you old man, you never really cease to surprise me! So you’re telling me that the universe is this big cosmic symphony whose musical notes are the sounds exuded by the movement of strings? Oh you shrewd mayster!, I always knew you had a bend for drama! Ho sempre provato una forte curiosità nei confronti dell'universo. Sin da piccola, mi ponevo le più disparate domande sul mondo che ci circonda, sulle stelle, sui pianeti e sullo spazio infinito e mi divertivo ad immaginare le teorie più strampalate riguardo le leggi che governano l'universo. Purtroppo, nonostante questo, non ho una mente particolarmente adatta allo studio delle materie scientifiche e quindi non sono diventata, ahimè, una scienziata, ma almeno ora so cosa voglio fare nella mia p Ho sempre provato una forte curiosità nei confronti dell'universo. Sin da piccola, mi ponevo le più disparate domande sul mondo che ci circonda, sulle stelle, sui pianeti e sullo spazio infinito e mi divertivo ad immaginare le teorie più strampalate riguardo le leggi che governano l'universo. Purtroppo, nonostante questo, non ho una mente particolarmente adatta allo studio delle materie scientifiche e quindi non sono diventata, ahimè, una scienziata, ma almeno ora so cosa voglio fare nella mia prossima vita. L'universo elegante è un viaggio attraverso l'universo che conduce il lettore nelle regioni di spaziotempo più remote. Brian Greeene rende questo viaggio quasi una tranquilla scampagnata in compagnia di qualche amico. Attraverso l'impiego di metafore accessibili anche ai non esperti, riesce ad illustrare con semplici parole dei concetti che non avrei mai pensato di riuscire a padroneggiare. Oddio, non che ora li padroneggi perfettamente, ma almeno so quello che volevo sapere e, con mia grande sorpresa, mi sono accorta che alcuni concetti che credevo fossero pura fantascienza esistono davvero, il che per me è strabiliante. الحقيقة ليست سوى وهم، لكنه وهم ثابت. 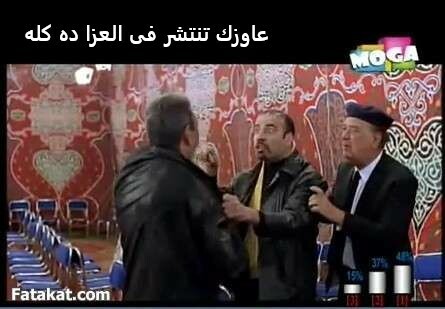 هذا الكتاب رائع إلى حد يعجز معه الوصف ..
- الفيزياء بالنسبة لى لا تمثل مجرد قراءة فقط أو هواية بل تمثل لى أستكشاف عوالم مجهرية وعوالم مجهولة، إذا أستطاع العقل البشرى أحتوائها كاملةً سينفجر كسوبر نوفا يملأ الجو بمعلومات مهولة خارج إطار المألوف . براين غرين عبقرى فى تبسيط وتوضيح المعلومات، بالرغم من أنه تحدث عن النسبية وبداية الكون ونشأته كلها فى أول كم فصل، وتناول الكتاب الفصول الباقية كلها ميكانيكا الكم، ونظرية الأوتار الفائقة، إلا أننى تكونت عندى خلفية لا ب الحقيقة ليست سوى وهم، لكنه وهم ثابت. This is the first book by Brian Greene that I read. The first chapters were amazing and engaging, however later chapters about string theory were very hard for me to understand and I actually didn't finish the whole book, because I could not understand what I was reading. The author uses many metaphors to make his ideas simpler. He starts with a very easy to understand telling of history of scientific discoveries reaching to the theory of general relativity and quantum physics and the unification This is the first book by Brian Greene that I read. The first chapters were amazing and engaging, however later chapters about string theory were very hard for me to understand and I actually didn't finish the whole book, because I could not understand what I was reading. The author uses many metaphors to make his ideas simpler. He starts with a very easy to understand telling of history of scientific discoveries reaching to the theory of general relativity and quantum physics and the unification efforts. 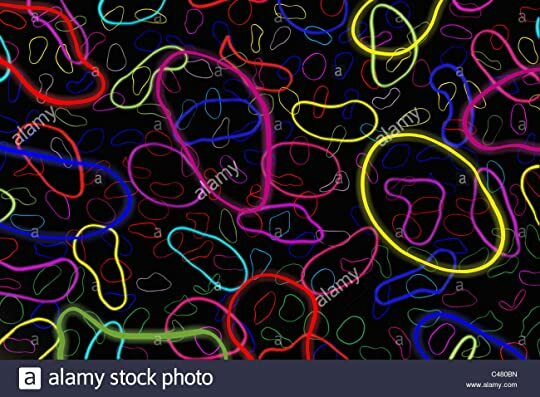 He maintains that string theory could be the one that finally unifies them and explain the number of particles we have and their specific masses and properties. Readers who have not discovered Greene should no waste one minute more! Temel aldığı konular üzerine yazılmış en önemli en azından Türkçe çevirisi yapılanlar arasında en önemli eserlerden biri. Yalnız benzer bazı ünlü örneklerle karşılaştırıldığında pek çok bölümünde belli bir altyapı bekleyen bir kitap olduğunu belirtmek gerek. Captain Fantastic filminde kızlardan biri bu kitabı okuyordu diye hatırlıyorum. Brian Greene is an American theoretical physicist and one of the best-known string theorists. He has been a professor of physics and mathematics at Columbia University since 1996. He has become known to a wider audience through his books for the general public and a related PBS television special.